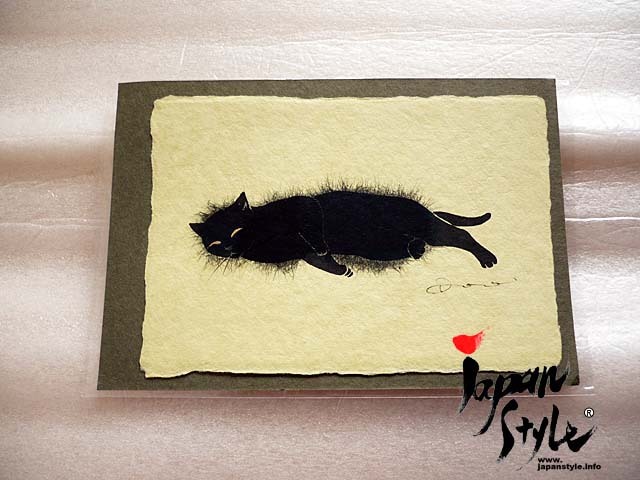 This is a greeting card made with Japanese washi paper. Do you like chat noir or a black cat? 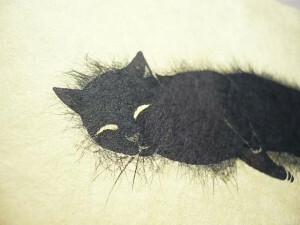 The black cat motif of this item seems to be ‘torn paper art’. This image may not show you clearly, but soft texture of cat fur is very well presented. Please note that this item is card only and does not include envelop. 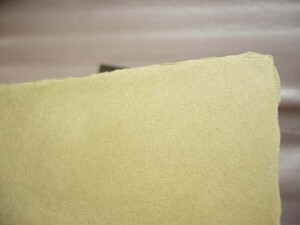 Card itself is greenish, which is not very dark green, but can be described as slightly lighter than Japanese powdered green tea. This is one-off item, so please don’t miss this chance!